Mister Rogers arrives with three sticks and a Y-bolt which he uses along with Mr. McFeely's delivery to make a small seat. After getting out an easel and pad of paper, Mister Rogers uses crayons to draw a rainbow. After a short film about how people make crayons, Mister Rogers draws a house while he sings You've Got To Do It. In the Neighborhood of Make-Believe, King Friday talks to Miss Paulificate about an idea he has for a "Draw the Neighborhood Contest." Harriett Elizabeth Cow is called to the castle to talk to King Friday about the idea while Miss Paulificate stays with the school children and talks about telephones. Harriett Elizabeth Cow is not very excited about the contest because she says that everyone's talents are different and art contests are very difficult to judge. King Friday declares himself the judge and announces that the contest's winner receive a surprise prize. Back at the school, Harriett Elizabeth Cow tells the children about the contest. Meanwhile, Handyman Negri begins work on the judging stand while Lady Elaine Fairchilde tells him about her desire to win the contest. She reveals that when she was a child, her sister Barbara always won everything and she grew very tired of losing. 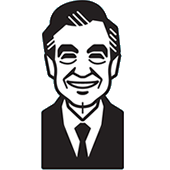 Back at the house, Mister Rogers returns to his easel where he draws a very abstract version of the Neighborhood of Make-Believe while he sings You Are Special. The segment of this episode about how crayons are made is included among the extra features on the Going to School DVD. Although not the same film, a film about a crayon factory was used in Episode 1087 as well as Episode 109 of Daniel Tiger's Neighborhood. 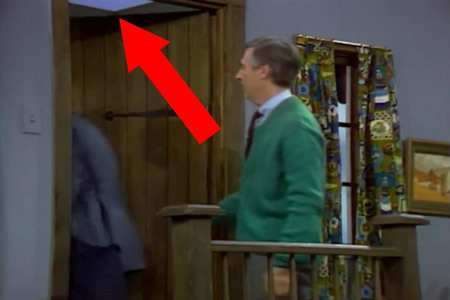 As Mr. McFeely leaves Mister Rogers' house, the camera angle shows that there is not roof to the porch. Purchase this episode on DVD or digital download from Amazon.com or iTunes. Special thanks to: Binney & Smith Inc.